Frank Sinatra was one of the world’s greatest performers of popular music, an artist who set the standard for generations to follow. Though he was known as “The Voice,” his prodigious talents let him wear many hats, including actor, producer, director, and conductor. 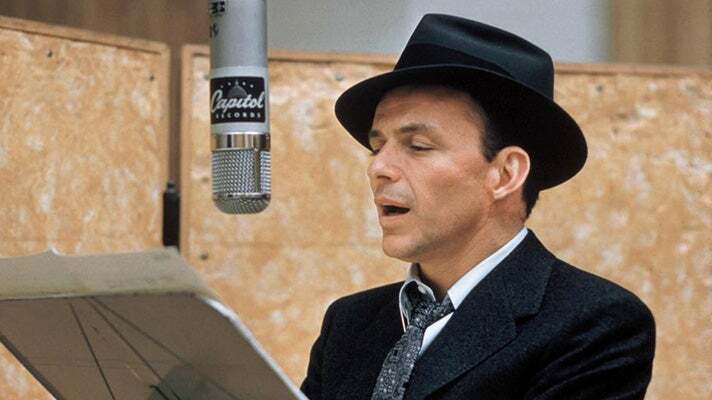 During his six-decade career, Sinatra earned 11 GRAMMY Awards, three Oscars (including Best Supporting Actor), two Golden Globes, the Presidential Medal Of Honor and the Congressional Gold Medal, the nation’s highest award for a civilian. 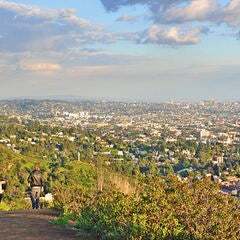 Read on for Los Angeles locations where you can experience the enduring legacy of the Chairman of the Board. Frank Sinatra signed with Capitol Records in 1953. Over the next nine years, Sinatra released a series of recordings that are widely regarded as the best of his career. During the Capitol years, Sinatra collaborated with arranger Nelson Riddle, a legendary musical partnership that resulted in masterpiece albums like In the Wee Small Hours (1955), Songs for Swingin’ Lovers! (1956), and Only the Lonely (1958). 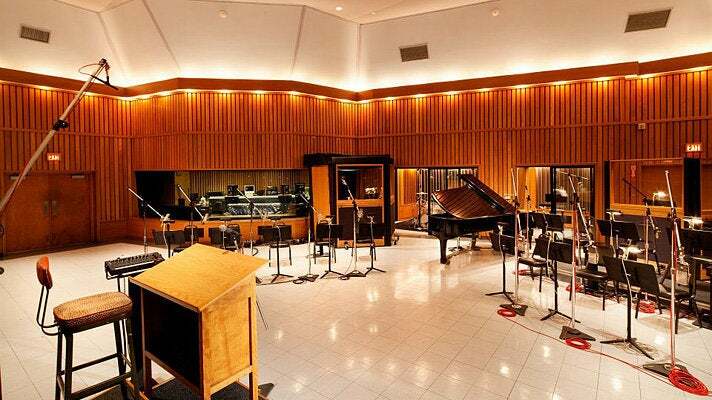 Classics like One for My Baby (and One More for the Road) were recorded in Studio A at Capitol Studios, located on the ground floor of the landmark Capitol Records building on Vine Street. The world-famous Hollywood Walk of Fame features more than 2,500 terrazzo and brass stars embedded in the sidewalk along fifteen blocks of Hollywood Boulevard and three blocks of Vine Street. 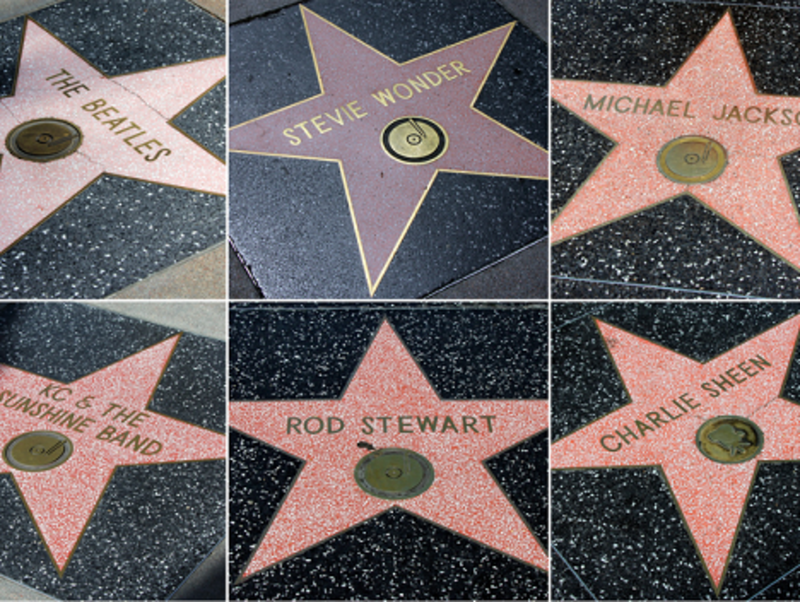 The five-pointed stars honor the accomplishments of actors, musicians, directors, producers and others in the entertainment industry. 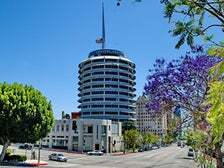 Frank Sinatra was awarded three Walk of Fame stars on Feb. 8, 1960: Motion Pictures (1600 Vine St), Television (6538 Hollywood Blvd), and Recording (1637 Vine St). Ocean’s 11 is the quintessential Rat Pack film, starring Frank Sinatra, Dean Martin, Sammy Davis, Jr., Peter Lawford and Joey Bishop. 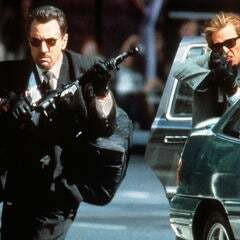 In the 1960 heist film, a crew of World War II 82nd Airborne veterans plans to rob five Las Vegas casinos on New Year’s Eve. Shot mostly on location in Las Vegas (where the stars were performing), Ocean’s 11 also filmed on several stages at Warner Bros. Studios in Burbank. 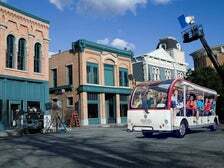 Take the Classics Made Here Tour of the historic studio for a behind-the-scenes look that includes the legendary Stage 7, home to Ocean’s 11 and other classics such as Casablanca, The Big Sleep, A Star is Born, Rebel Without a Cause, and My Fair Lady. 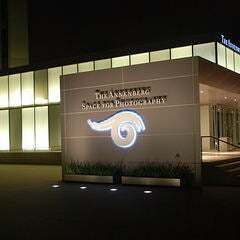 The Hollywood Palladium is a landmark concert venue that features an 11,200 square-foot dance floor and capacity for 4,000. The Palladium opened on Oct. 31, 1940 with a dance featuring Tommy Dorsey and his Orchestra, with a young Frank Sinatra as vocalist. Sinatra achieved his first great success with Tommy Dorsey, recording 80 songs with the band from 1940 to 1942. Sinatra said that he learned breath control by watching Dorsey play the trombone. 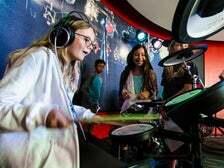 Located at L.A. LIVE in Downtown, the GRAMMY Museum features over 30,000 square feet of interactive exhibits and memorabilia that celebrate the power of music. 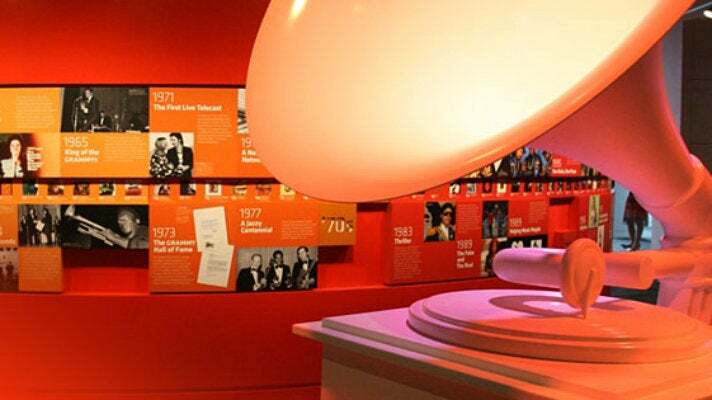 The third floor showcases the history, excitement, and glamour of the GRAMMY Awards. Frank Sinatra had a long history with the GRAMMYs, beginning with the very first ceremony in 1959. His single, "Witchcraft" was nominated for Record of the Year and Song of the Year, and Come Fly with Me and Only the Lonely were both Album of the Year nominees. Only the Lonely won the GRAMMY for Best Album Cover. Sinatra eventually won 11 GRAMMY Awards, including the Legend and Lifetime Achievement Awards. George Raft - who gained fame for playing gangsters in films such as Some Like It Hot and the original Scarface - was one of the co-owners of La Dolce Vita when it opened in 1966. Raft’s Hollywood connections attracted stars like Frank Sinatra, who frequented the Beverly Hills restaurant along with fellow legends like Sammy Davis Jr., Gregory Peck and Anthony Quinn. Ruben Castro, the restaurant’s maitre d’ for over four decades, told The Hollywood Reporter that Sinatra would order his favorite drink - Jack Daniel’s on the rocks with water - by saying, “Daniel’s, on the rocks!” In 2012, La Dolce Vita dedicated booths to Sinatra and Guy McElwaine, his lifelong friend and agent, with brass name plaques. 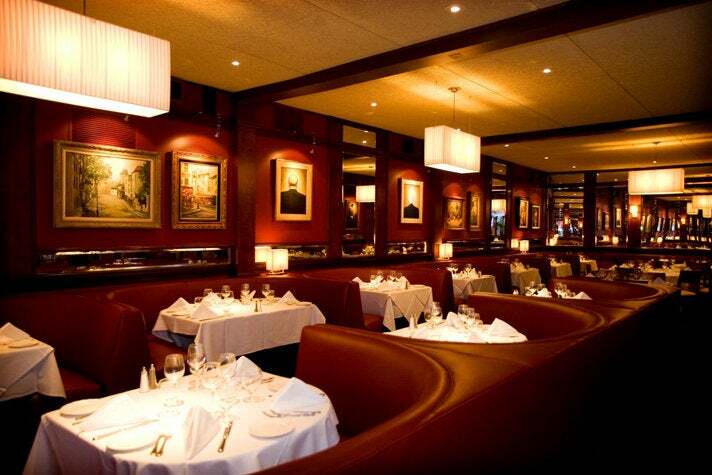 Sinatra’s favorite table wasn’t the booth that now bears his name - it's a corner booth by the bar that has a clear view of the entrance. The late Matty Jordan (née Matteo Giordano) was Frank Sinatra's childhood friend from Hoboken, New Jersey. 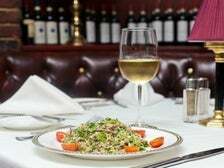 When Jordan opened Matteo’s on Westwood Boulevard in 1963, Sinatra made it an instant hotspot by dining there on Sunday nights, as he would for decades to come. 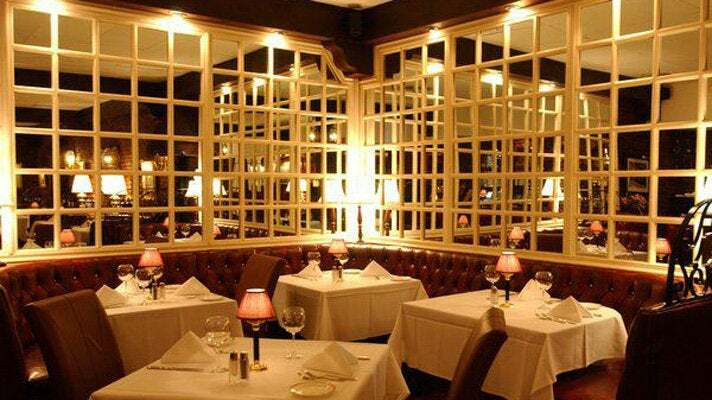 Everyone from U.S. presidents and a Who’s Who of Hollywood’s A-list to homesick Hoboken transplants have dined at Matteo’s. 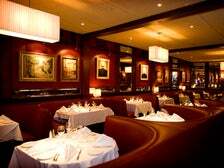 A generation later and under new ownership, Matteo’s continues to offer top notch Italian food in an upscale setting, featuring Chef Antonio Orlando’s interpretations of classic dishes from his hometown of Salerno, Italy. 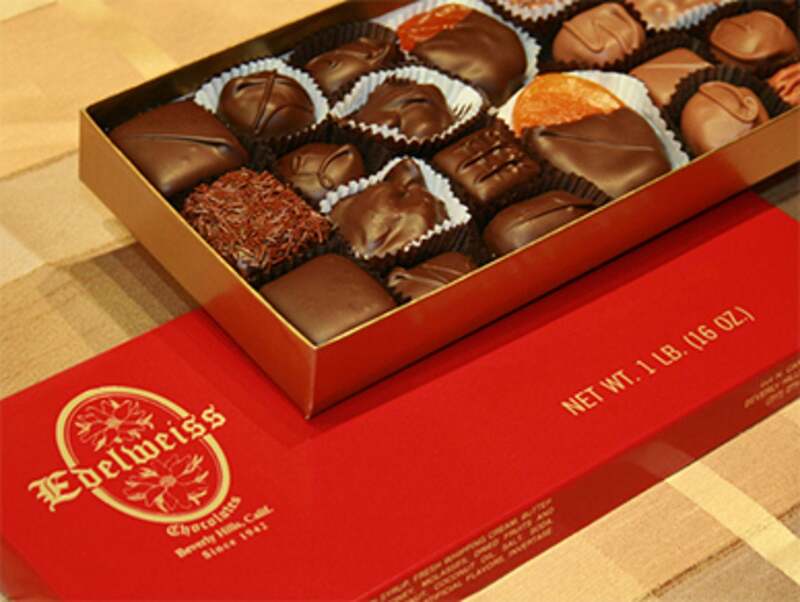 A Beverly Hills tradition since 1942, Edelweiss Chocolate Factory is one of the oldest confectioneries in America that still process its chocolates by hand. Edelweiss became an instant hit with the stars of Golden Age Hollywood, like Lauren Bacall and Katherine Hepburn, who wrote in her autobiography, Me, about the Dark Chocolate Turtles. Frank Sinatra’s favorites were the Maple Creams, and you can order a box of chocolates for a gal pal, just as Ol’ Blue Eyes did for Marilyn Monroe, Kim Novak and Natalie Wood. One of the main reasons the Rat Pack became icons of cool was Sy Devore, the famed "tailor to the stars" whose custom suits were stars in their own right, as seen in Ocean’s 11. 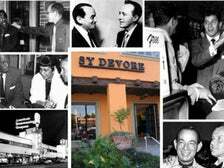 Devore’s celebrity clientele included Bing Crosby, Spencer Tracy, John Wayne, Desi Arnaz, Danny Thomas, Rock Hudson, Richard Burton, Nat King Cole, and Sidney Poitier. Devore even outfitted Presidents John F. Kennedy and Lyndon Johnson. 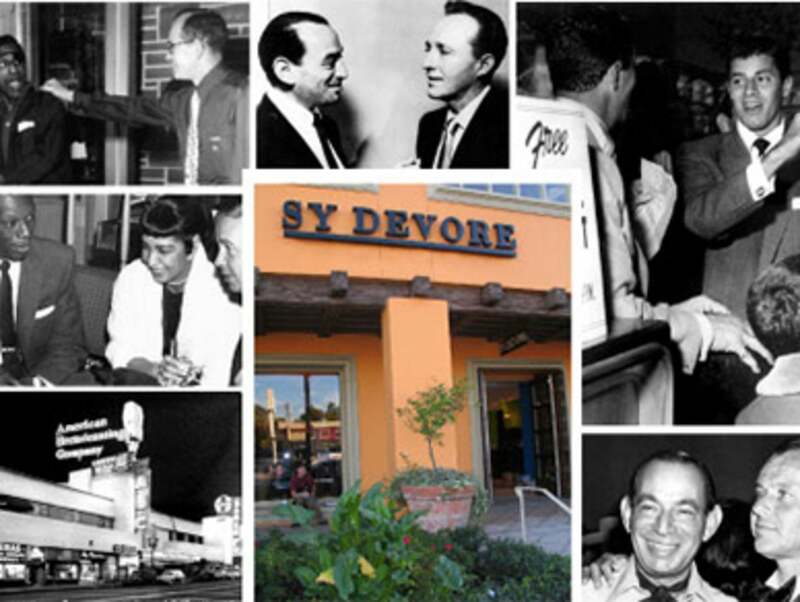 Devore’s original store was located on Vine Street, across from the Brown Derby. 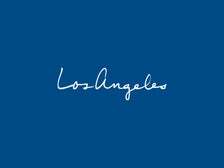 Today, owner Danny Marsh carries on Devore’s legacy at the store’s current location in Studio City, where you can get fitted for a suit and even request your lapels to be exactly 2 1/4” wide, just as Sinatra himself preferred. 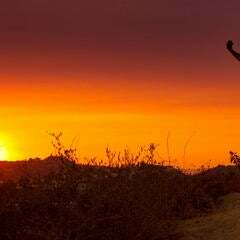 The Farralone Estate was built in 1951 by Pereira & Luckman, the architecture firm that designed the iconic Theme Building at LAX, CBS Television City and many other landmarks. The estate was commissioned by Dora Hutchinson, heiress to the Chase Manhattan Bank fortune. The property boasts a 10,000 square-foot main house with 16-foot ceilings, a 50-foot pool, two acres of rolling lawn, and a long private road that winds up 5.5 acres. 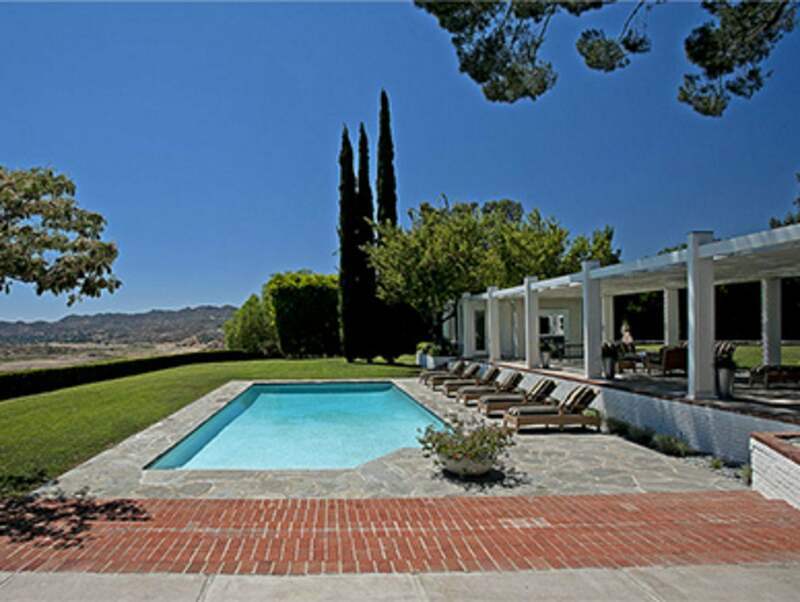 Frank Sinatra leased the house in the 1950s, and sublet the 1,000 square-foot guest house to Marilyn Monroe. 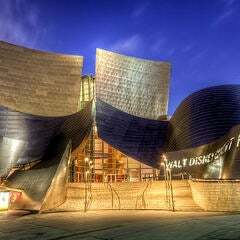 The Mid-Century masterpiece is used frequently in film and TV, such as Dreamgirls, Ali and Californication. In the Mad Men Season Two episode, The Jet Set, the Farralone Estate plays the Palm Springs house where Don Draper meets some interesting new acquaintances.